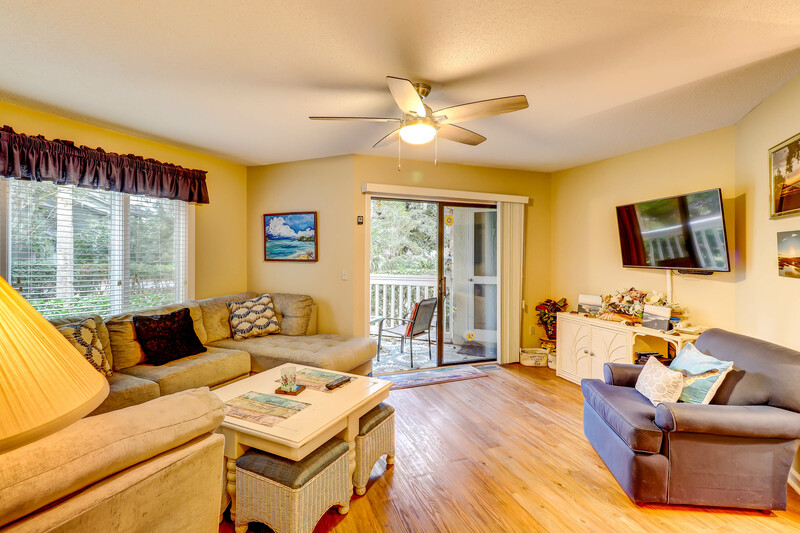 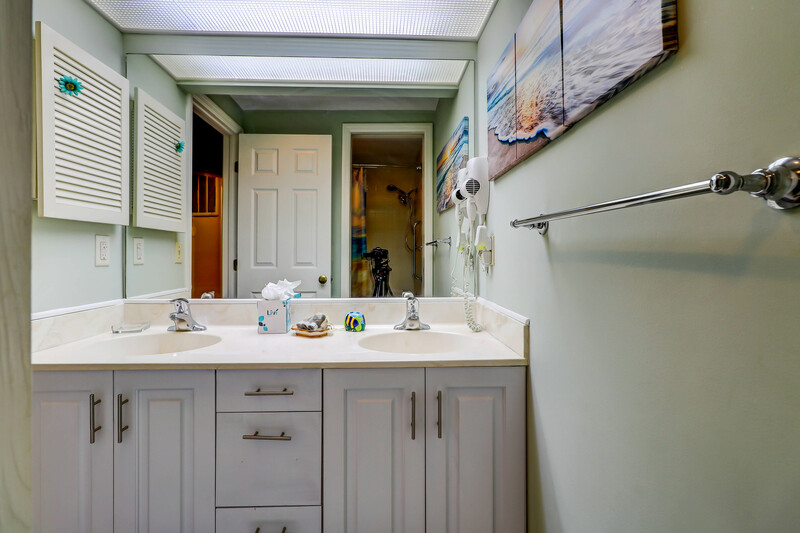 This peaceful Colonnade villa in Shipyard Plantation has a bright and airy living space that features a 50" flat screen TV with DVD player and access to the sitting deck off the living room. 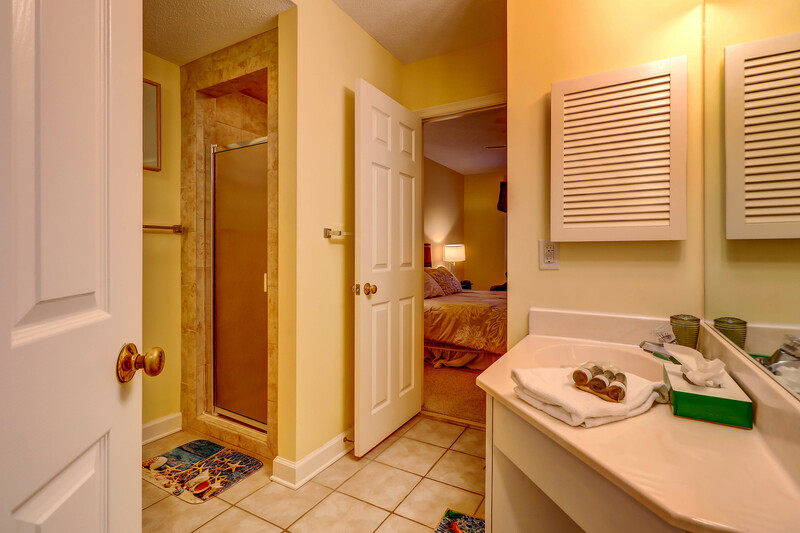 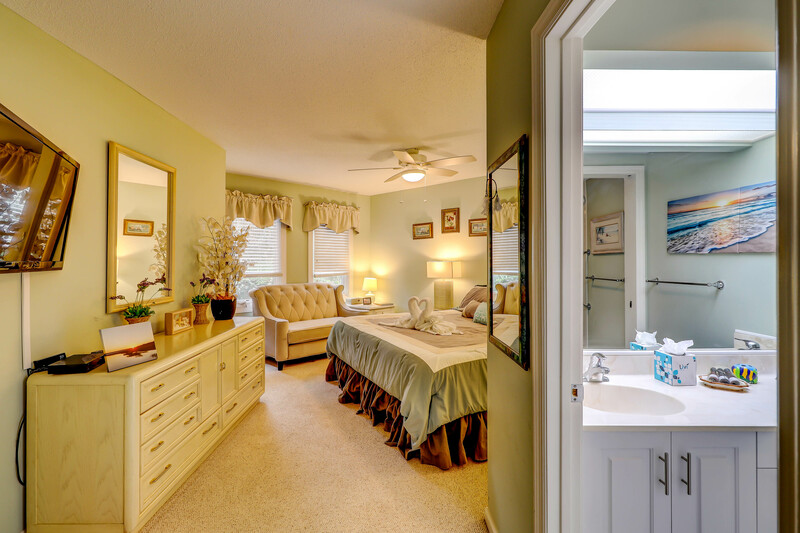 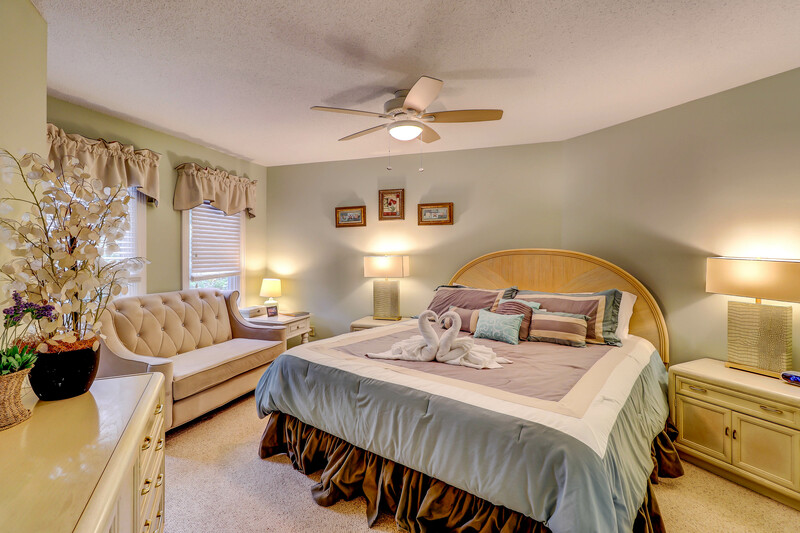 The master bedroom has a king bed, TV, walk-in closet, and private bath with double sinks and tub/shower combination. 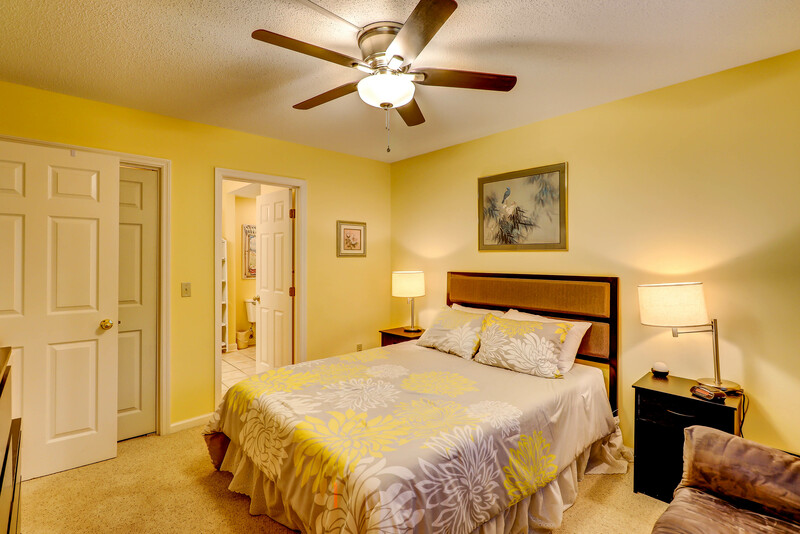 The guest bedroom has one queen bed and one twin bed, TV, and access to a jack-and-jill style hall bath with a walk-in shower. 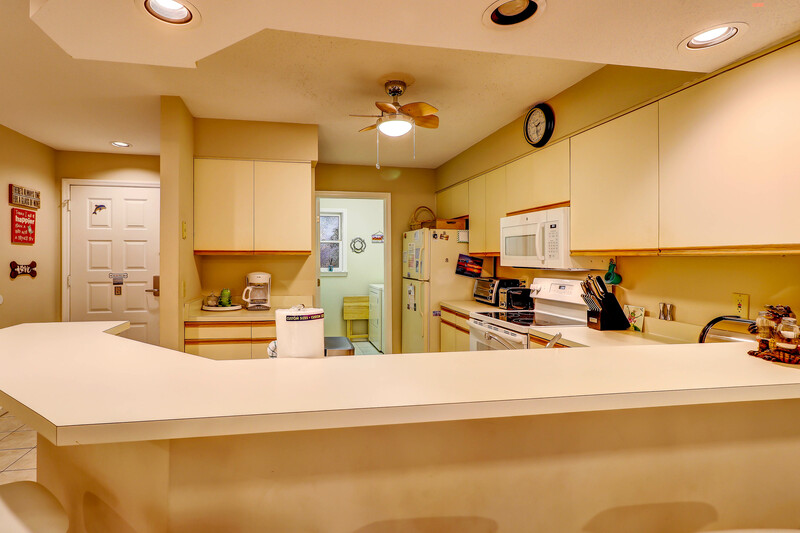 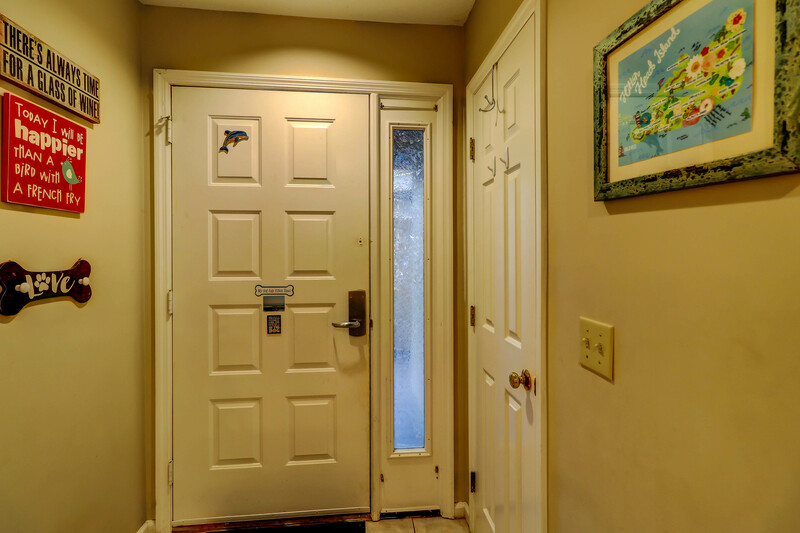 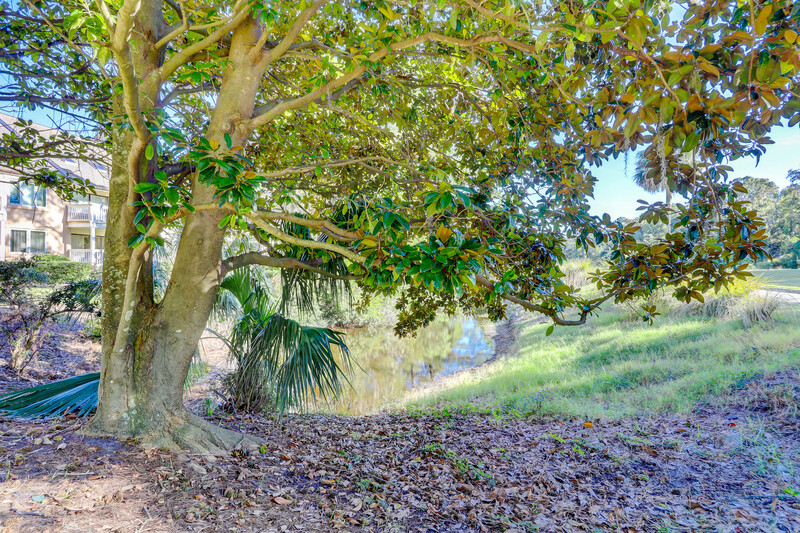 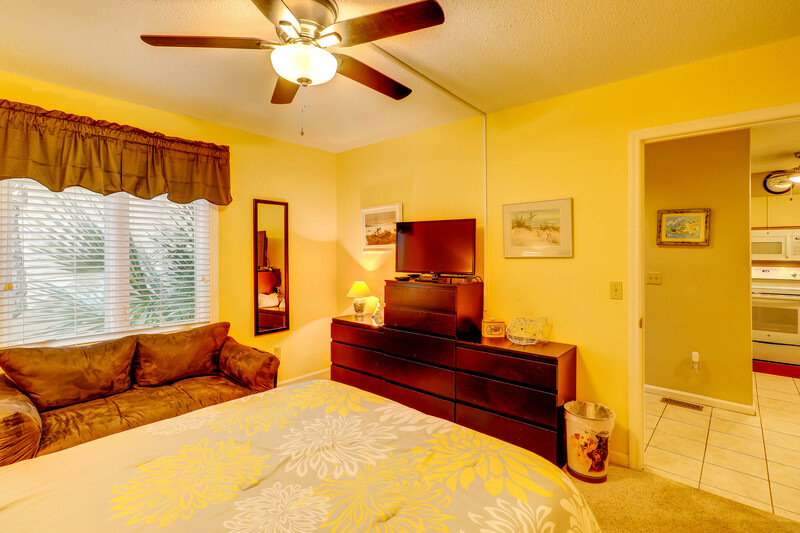 This unit is pet friendly and allows large dogs and up to 3 dogs. 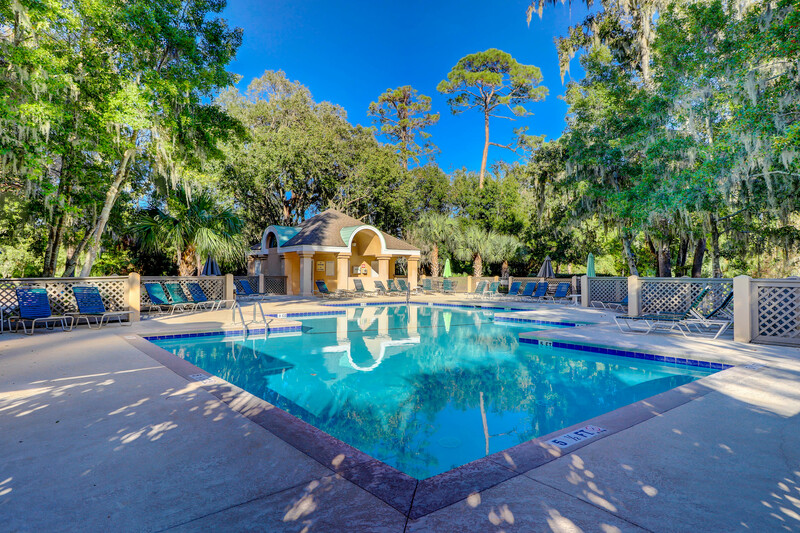 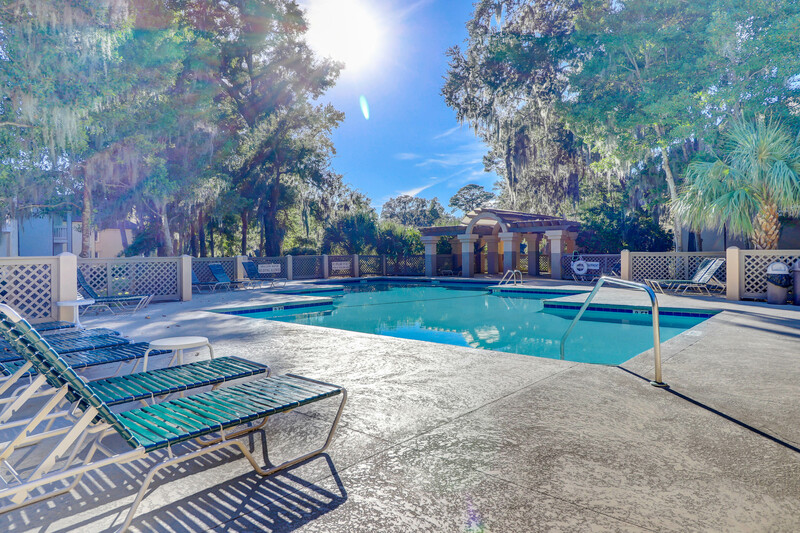 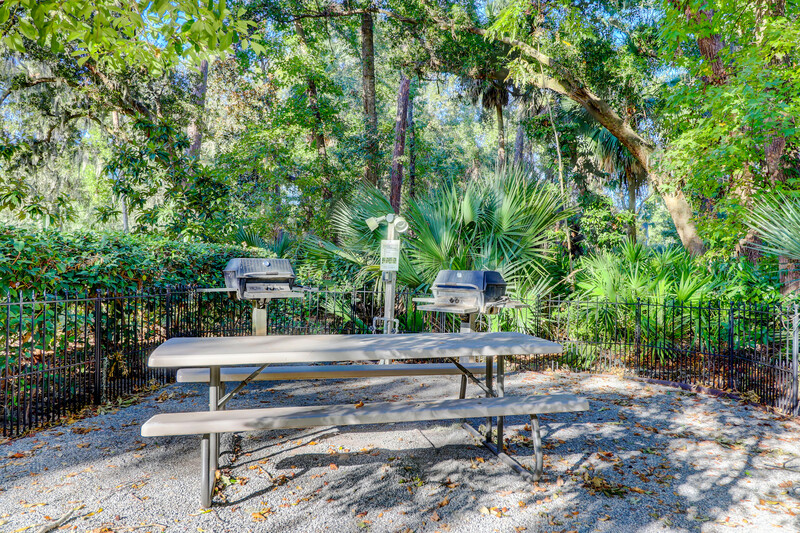 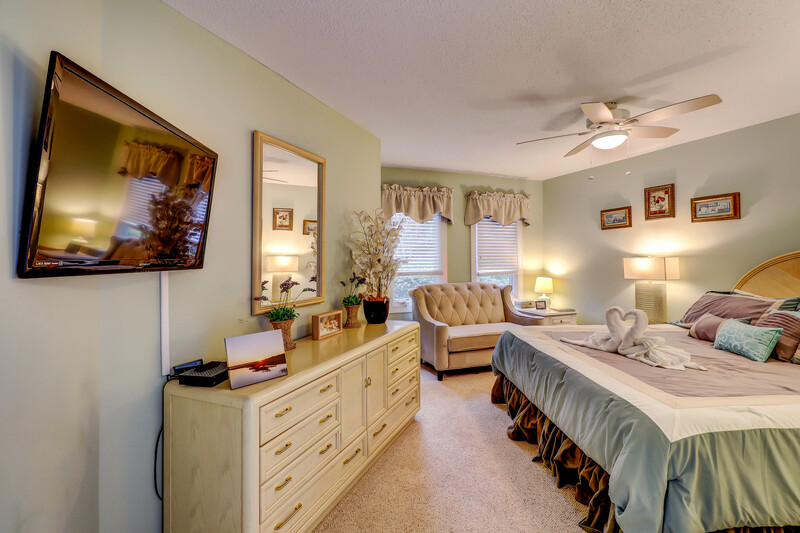 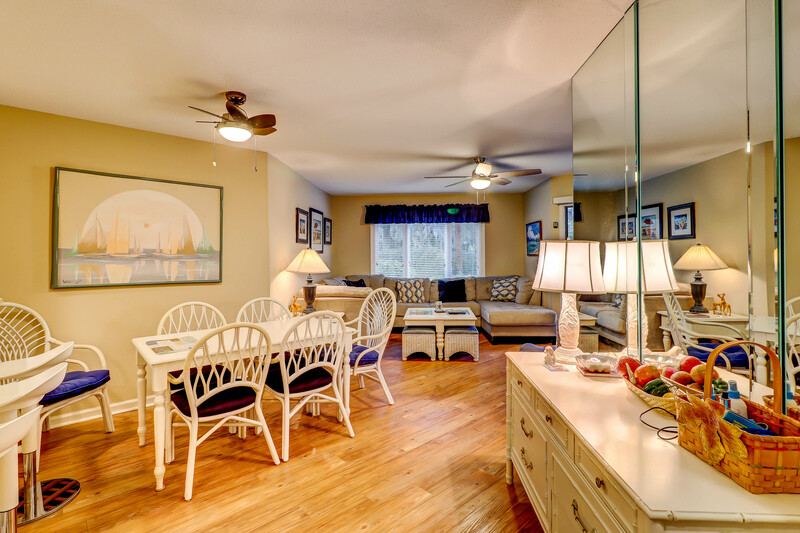 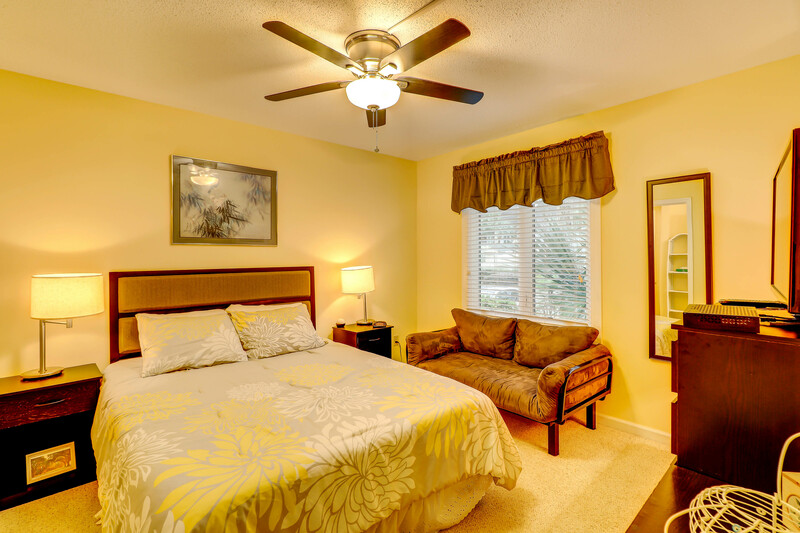 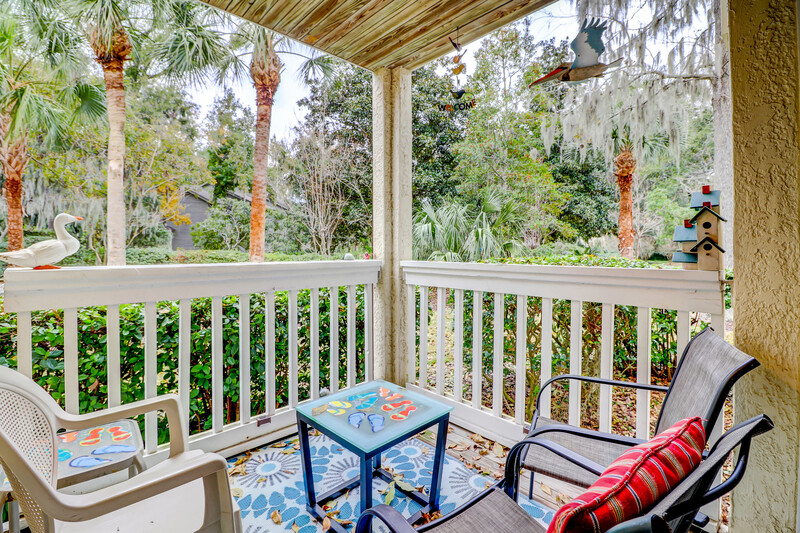 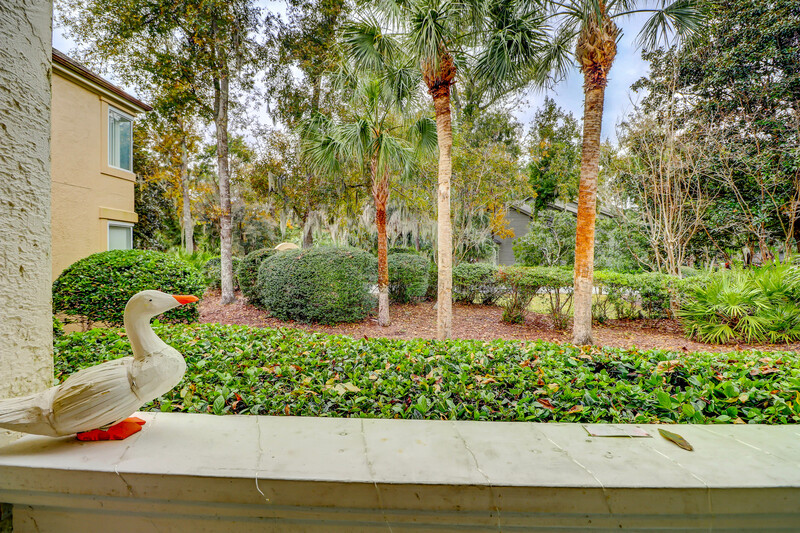 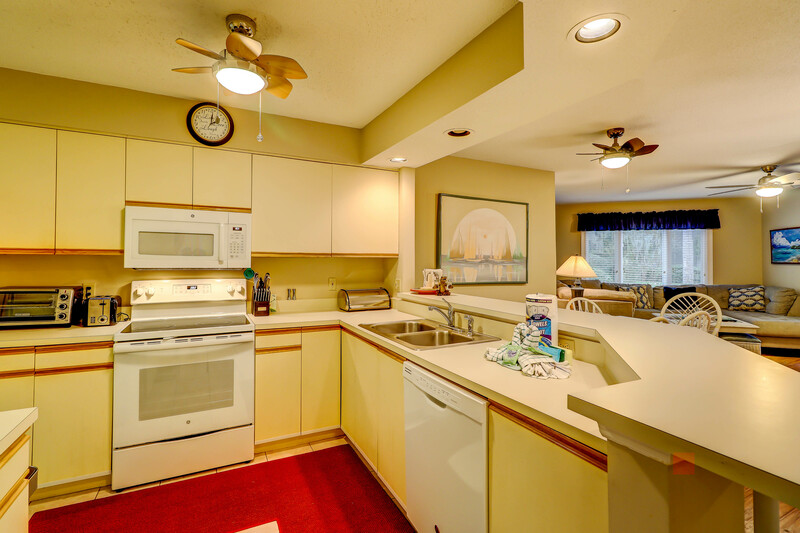 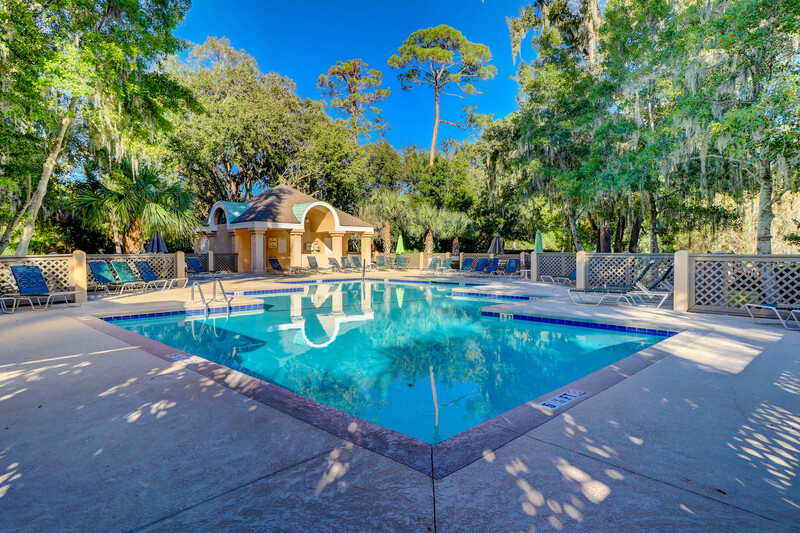 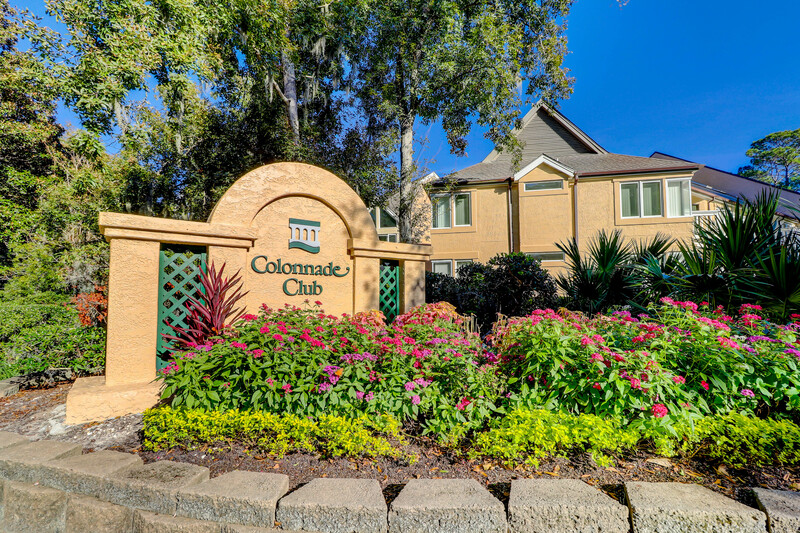 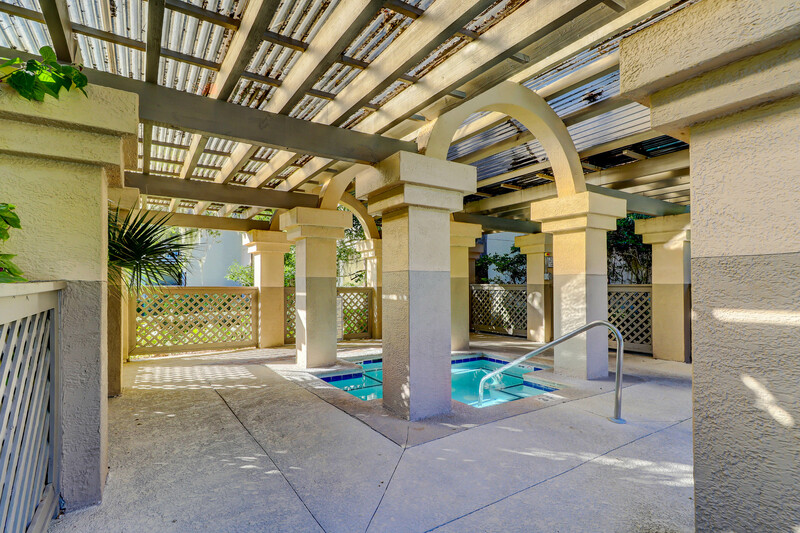 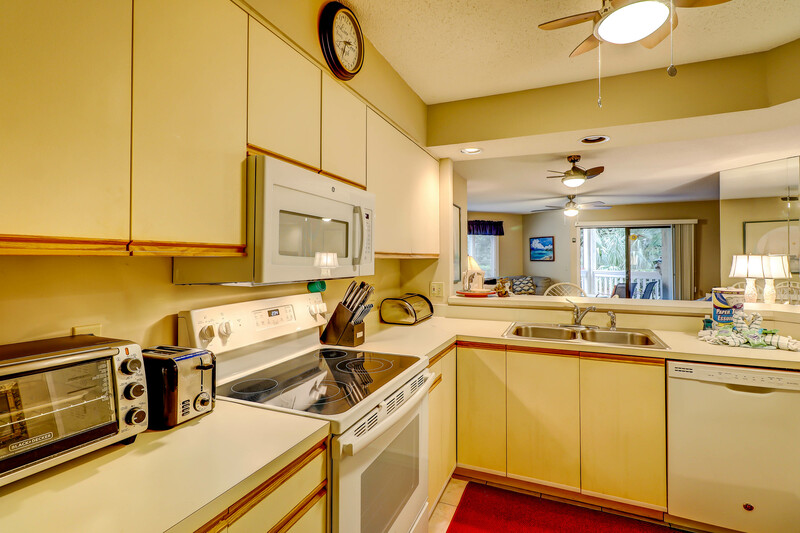 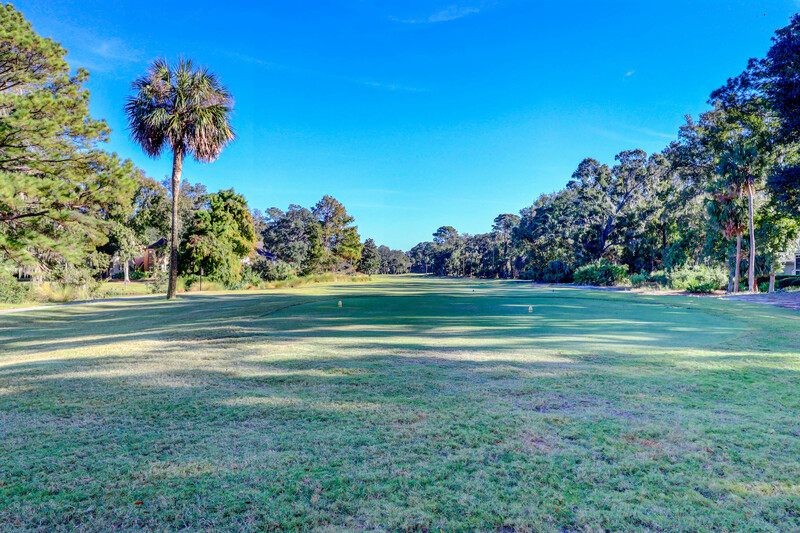 Located in Shipyard Plantation, the Colonnade complex sits on the Galleon golf course. 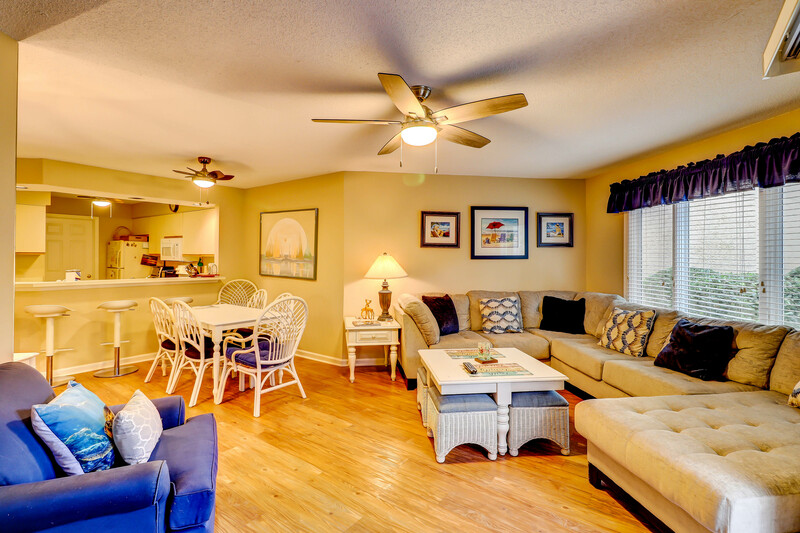 These 2 bedroom villas provide a perfect vacation for golfers, tennis players, and swimmers alike. 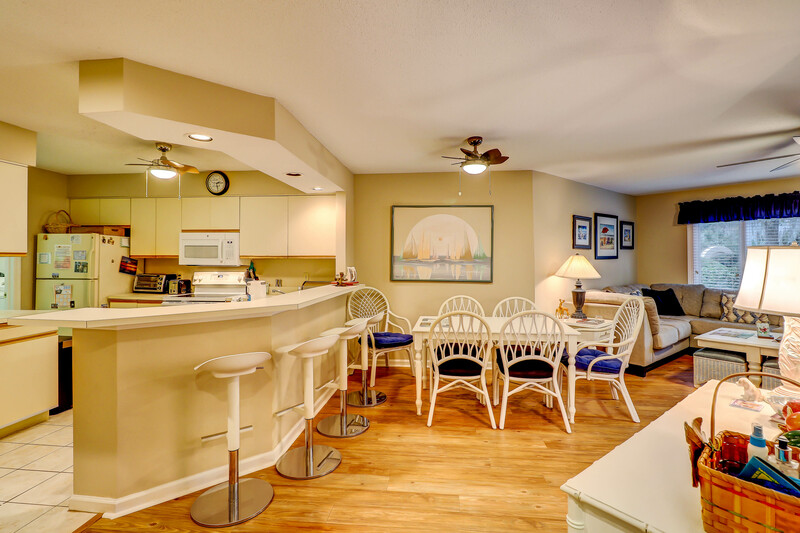 Only a short walk to the beach and the Racquet Club, these spacious villas are nicely appointed and very private. 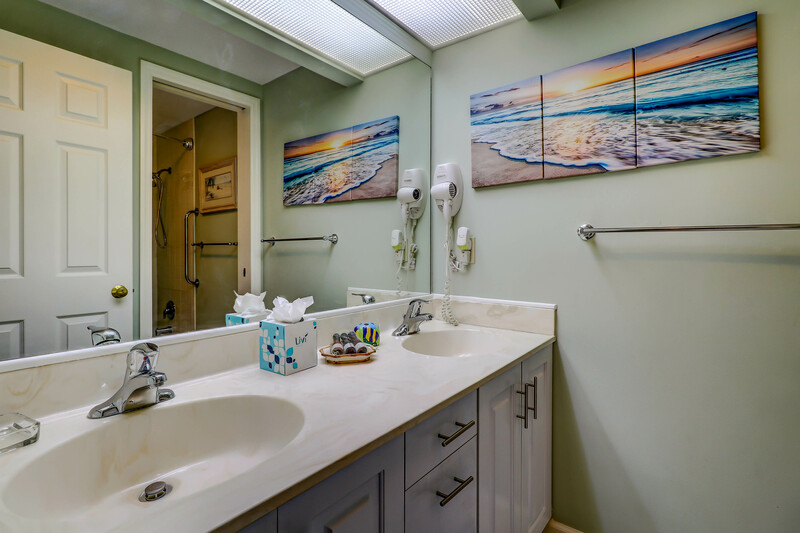 Contemporary in nature and design they feature private decks, modern kitchens, spacious living and dining areas, and large master bedrooms to give you the feeling of being in a private home. 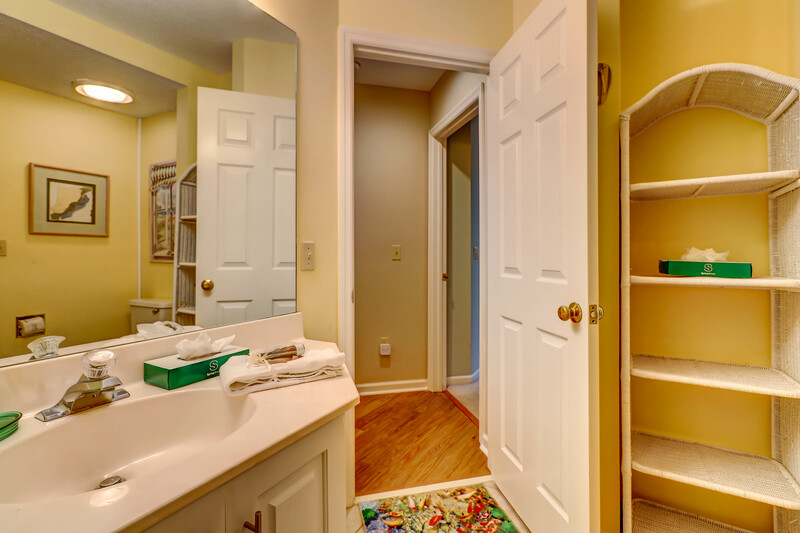 Each master bedroom has a walk-in closet. 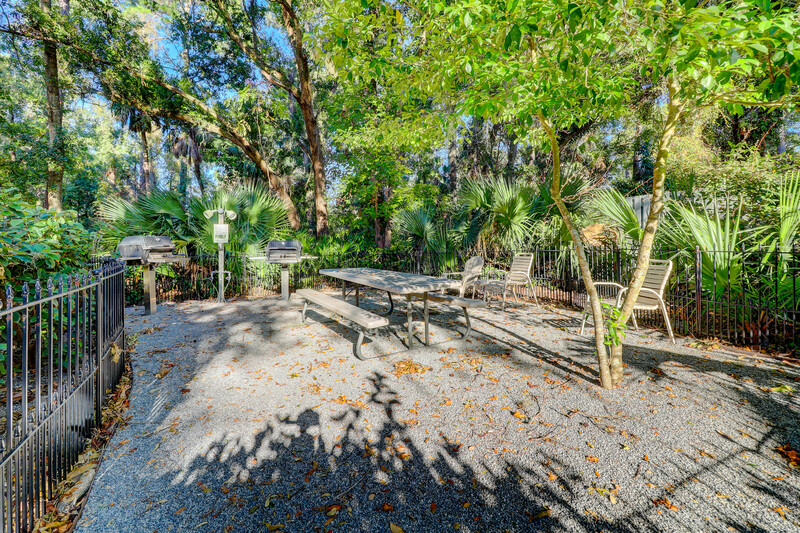 The complex features a bike path leading directly to the beach, "try-your-luck" fishing lagoons, a beautifully designed pool, and outdoor hot tub.